The total mobility market is worth about $4.5 trillion a year. Automakers plan to capitalize on this by making their companies less dependent on building, selling and financing cars. 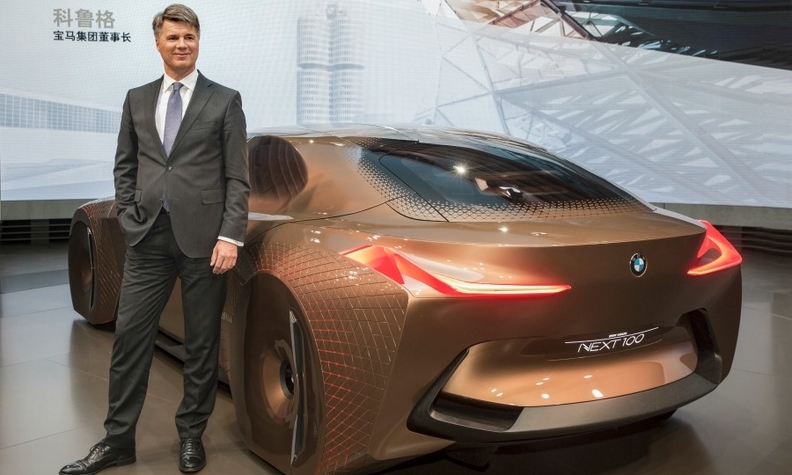 Automakers are facing a "decade of disruption," Nissan Europe Chairman Paul Willcox said last month, adding his voice to the chorus of car executives who are explaining how they will not only adapt to a digital future but thrive in the new environment. "We're on the cusp of a mobility revolution," Ford CEO Mark Fields told the massive Barcelona Mobile World Congress tech event in February. The topic ranks so high on the list of priorities at global automakers that Volkswagen Group CEO Matthias Mueller told senior managers last month that becoming a "mobility provider" is key to the automaker's efforts to move past its emission-cheating scandal. "We want to lead Volkswagen out of the company's most difficult situation ever and shape it into a mobility provider," Reuters quoted Mueller as saying. In addition, BMW Group CEO Harald Krueger used the automaker's centennial celebration and its annual press conference, both in March, to explain how the world's No.1 global premium automaker by unit sales will transform into the leading provider of premium mobility and services. There is a reason why automakers now habitually refer to themselves as mobility providers: The industry has entered an era when ride-sharing service Uber is routinely valued higher than an established automaker such as General Motors. That has forced most automakers to increase their efforts to head off future challenges from aggressive digital rivals while also satisfying the demands of a tech-savvy customer base. "We are seeing a revolution in customer behavior and expectations," Nissan’s Willcox told journalists last month. "It’s going to have a big impact on the way we produce products and services, and the people we hire." Ford of Europe Chief Operating Officer Barb Samardzich compared the dangers faced by car companies with those of Kodak and Polaroid. "They didn’t see digital cameras coming. 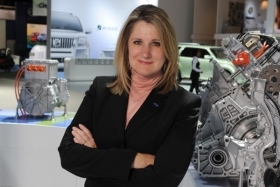 We don't want to be left behind like that," she told Automotive News Europe. Ford's Samardzich: "[Kodak and Polaroid] didn't see digital cameras coming. We don't want to be left behind like that." Future automaker profits will depend less on building, selling and financing cars and more on extracting revenue from the driving, according to investment bank Morgan Stanley's auto research division. "We see most of the value in transportation shifting from the manufacturing of mechanical devices toward the software to deliver the utility, the content consumed during the journey, and the data produced by the experiences and from the journey itself," the firm said in a paper on shared mobility published in April. The car today is ripe for disruption, Morgan Stanley believes, describing it as "arguably one of the most underutilized, polluting, time-consuming, and dangerous machines on earth." The company calculates a car is driven on average just 4 percent every day, with a per-seat utilization of about 1 percent. The global car fleet consumes about 45 percent of the world's oil demand driving around 10 trillion miles a year. Doing that causes lost productivity heading into "many trillions of dollars" and kills 1.3 million people every year in traffic accidents, Morgan Stanley analysts wrote, citing the World Health Organization for the latter statistic. The value of disrupting this part of the automotive business is huge, said Adam Jonas, who leads Morgan Stanley’s global auto team. Toyota generates $230 billion (203 billion euros) from its 13 percent share of the global new-car market based on sales of 10 million units last year. By comparison, a car-sharing firm that charges $1.50 a mile could match Toyota's revenue with just a 1.5 percent share of the 10 trillion miles travelled annually, Jonas told the Automotive News World Congress in Detroit in January. Ford believes the total mobility market, including ride-sharing, car-sharing, rail-sharing and rental cars, is worth about $4.5 trillion a year. "Of that, we participate in none. So there is a huge revenue pool out there," Samardzich said. Vehicle manufacturers are reacting by opening their wallets. "Automakers have been developing plans for a couple of years, but now we’re starting to see more money spent on investments and research, as well as acquisitions of strategic targets," said Jeremy Carlson, who is IHS Automotive’s senior analyst for autonomous driving. Those investments include the $500 million GM spent to form a strategic alliance with Lyft, one of Uber's biggest ride-sharing rivals. This story is from the June issue of the Automotive News Europe monthly e-magazine, which is also available to read on our iPhone and iPad apps.You can download the new issue on Monday as well as past issues by clicking here. 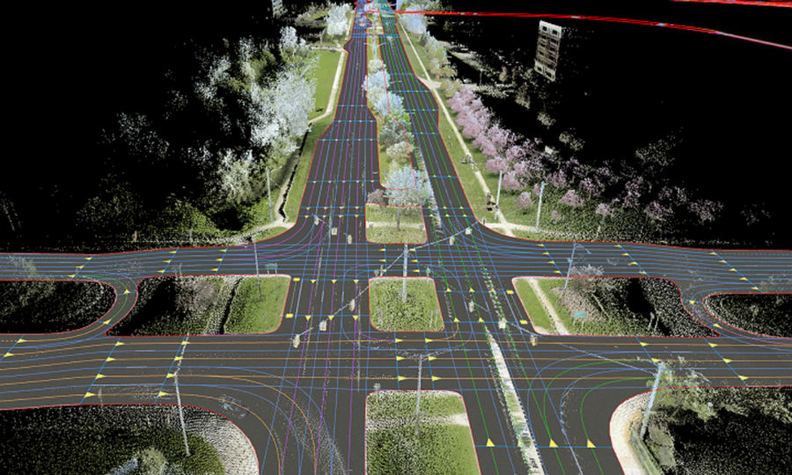 In Europe, BMW joined with German rivals Audi and Daimler's Mercedes-Benz last year to purchase Nokia's HERE mapping service for $2.8 billion. The partners said the deal was a crucial element in developing autonomous cars. Ford, meanwhile, has invested $182 million in San Francisco-based software firm Pivotal, the company that helped it build the FordPass app, which is a key part of the U.S. automaker's mobility plans and one that it boldly claims "will do for the auto industry what iTunes did for the music industry." Backing up such a bold statement and generating money from the big investments won't be easy. "It is difficult to move from being a manufacturing company to something that is software centric, much less an entirely different business model," IHS's Carlson said. One way is to recruit talented people from the digital space. Some recent examples include PSA Group's hiring of former Yahoo executive Brigitte Cantaloube to be its first chief digital officer; Volkswagen Group's poaching of former Apple executive Johann Jungwirth to head its new digitalization strategy department; and Renault-Nissan's appointment of former Nokia executive Ogi Redzic to the new role of senior vice president for connected vehicles and mobility services. Renault-Nissan CEO Carlos Ghosn says rival GM is the “most advanced” automaker in terms of selling services within the connected car environment because of OnStar, shown, which Opel/Vauxhall debuted in Europe last year. Renault-Nissan CEO Carlos Ghosn said automakers need the tech-based expertise because carmaking and digital innovation require completely different mindsets. "Carmakers are very strictly organized. I said to Ogi [Redzic], 'How can I keep the rigor of a carmaker but at the same time adapt the product to very disruptive technologies?' That is very tough to do," Ghosn told journalists at the Geneva auto show in March. "It’s a complicated game for all carmakers." Ghosn gave the example of GM as a company that was the "the most advanced" in terms of selling services within the connected car environment via OnStar. The company has also started equipping certain Opels in Europe with OnStar via a 4G (LTE) modem within the car. Opel CEO Karl-Thomas Neumann said that 50 percent of all models sold in Europe are equipped with the technology. Ford has said it will roll out a similar technology by the end of 2017 to support further features of its FordPass app, for example remotely unlocking car doors. 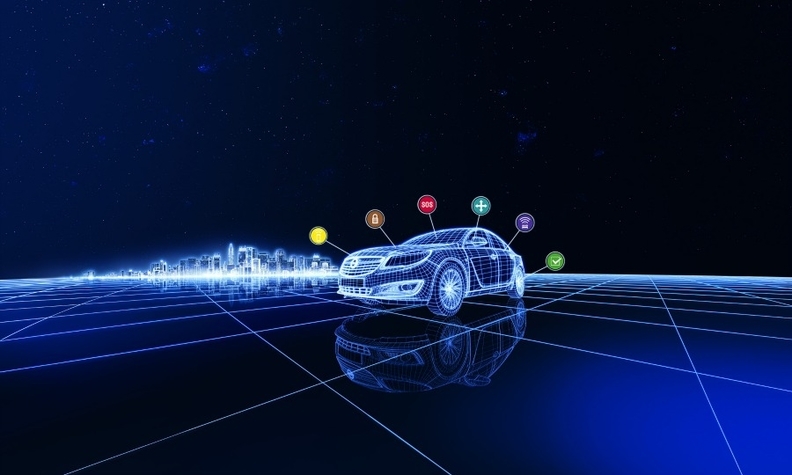 Connectivity will be important in the future, Neumann told Automotive News Europe: "For me it's a prerequisite for any autonomous systems since you have to keep it up to date," he said. And while fully autonomous cars pose new challenges, such as the erosion of brand power, automakers can make plenty of money on the way to achieving fully hands-off driving. "Autopilot will continue to be optional, but the hardware will be fitted to the car," IHS's Carlson predicts. "Automakers will say to you 'We’ll give you a 30-day trial, then if you like it, pay us some money and we'll update the car overnight'." The path to making money from shared mobility looks a lot harder. "Very few manufacturers have moved to a primarily service-based business and there will be losers this time too," said Colin Bird, senior analyst for software apps and services at IHS. Daimler and BMW already operate a car-sharing business with Car2Go and DriveNow, respectively. BMW says DriveNow has half a million customers in nine European cities driving a mix of Minis and BMWs, including the electric BMW i3. Daimler says it has more than 1 million Car2Go users, who have access to fleets of about 13,000 Smart ForTwo microcars in 30 European and North American cities. However, both have struggled with the practicalities of running the fleets in some cities. After pulling out of San Francisco, BMW is returning to the U.S. with the rebranded ReachNow in Seattle. Bird believes "the profits aren’t particularly stellar" but says part of the value lies in advertising the brand by using interesting vehicles and also in convincing skeptical urban millennials of the usefulness of cars. Other automakers are experimenting with similar schemes, including Ford, which is coming to the end of a test in London involving a fleet of 50 cars at 25 locations. Audi is testing a scheme in Stockholm, Sweden, where a group of people share ownership of a car and split monthly bills. Others are trialing alternatives to the car, for example Toyota's three-wheeled i-Road covered scooter in Grenoble, France, and Ford's electric bikes in London. In a phrase borrowed from Silicon Valley, Ford calls it "lean experimentation" – small-scale tests where failures are cheap, out of the public eye and even encouraged. Some automakers aren't convinced by the promise of profits from shared mobility and automated cars. In a letter to shareholders published in April, Fiat Chrysler Automobiles Chairman John Elkann quoted figures from analysts at McKinsey predicting that even in a high-disruption scenario, shared vehicles will only account for 9 percent of vehicle sales by 2030, while only 15 percent of vehicles will be completely self-driving. BMW is no longer satisfied with just being the world's No. 1 seller of premium vehicles. CEO Harald Krueger says the company will transform itself into the leading provider of premium mobility and services. Meanwhile new-car sales will increase from $2.75 trillion in 2015 to $4 trillion. "Boring, old carmakers need to figure out how to make this profitable and guard against falling into the 1990s trap of ignoring that business while chasing profits in other parts of the value chain," he wrote. Elkann was referring to a move by carmakers to invest in related services, for example, Ford's 1999 purchase of UK car maintenance chain Kwik Fit, which was later sold for a loss. "We at Fiat were also convinced that value-chain extension was the way to go and we ended up making very bad capital-allocation decisions, such as the acquisition of [car repair chain] Midas in Europe or the creation of [telematics company] Viasat. We did not find the magic formula," he wrote. Repeating the message of FCA CEO Sergio Marchionne, Elkann stressed that consolidation offered the best path to greater profits rather than a rush to "embrace disruption." One way to increase your output in the future would be to build cars for others. "Some will be completely happy being a hardware contract manufacturer for Apple or Google. There's nothing wrong with that role," said IHS's Carlson. But other carmakers see the new opportunities offer by smart mobility, electric powertrains and connected cars as a chance to shake up their own business. For example, PSA Group in its Push to Pass future strategy launched in April said it saw car-sharing as a way to enter the U.S. market over the next 10 years, something that would be costly and extremely difficult using traditional methods. Nissan in Europe meanwhile is about to market a home power storage device built using unwanted batteries from its Leaf electric car. It plans to sell 100,000 of them in the next five years. For Jaguar Land Rover, being smart is knowing your limitations, global sales and marketing director Andy Goss said. "Do we understand what car-sharing involves? Yes, we do. Are we going to set up a long organizational structure doing car-sharing? No, we’re not,” he told Automotive News Europe. "We’ve got to keep to our core responsibilities of manufacturing and designing cars globally to put them in the market with all the technologies that customers require. There is a point where you have to hand the baton over."